A dark figure crouches silently behind a console, his attention focused on the cyber-guard slowly patrolling the area. 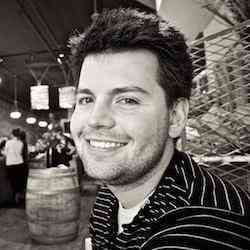 Across the room, his partner is wirelessly hacking a terminal, gaining power for the team’s AI programs. The dark figure lunges out from his hiding place, plucking a key card off the guard and returning to cover inaudibly. 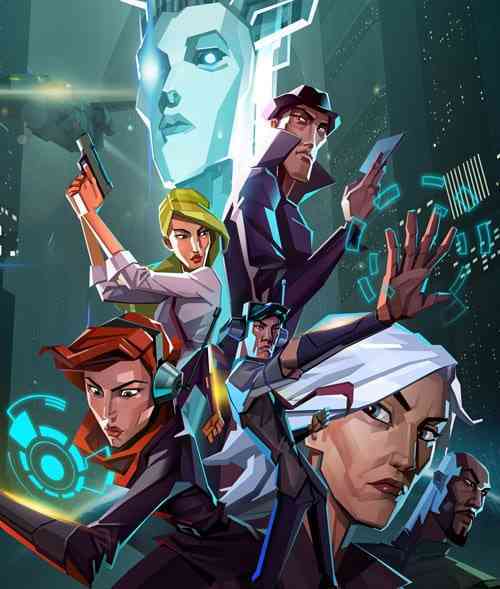 This is Invisible Inc PS4, the latest from indie developer Klei Entertainment. 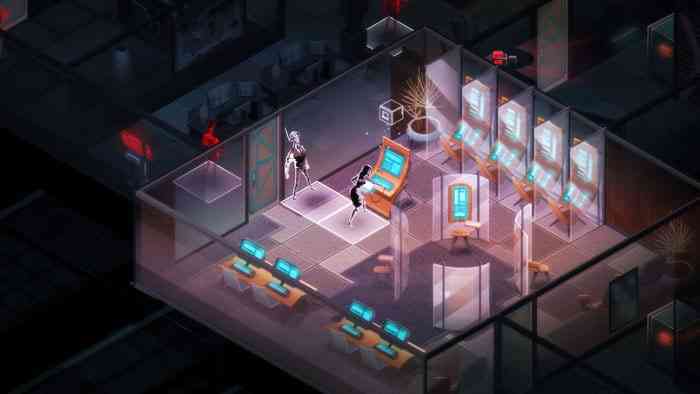 Klei is known for rejecting the notion that developers should have any kind of genre preference or specialty, and Invisible Inc PS4 is no different. A far cry from the survivalistic Don’t Starve and puzzletastic Eets Munchies, Invisible Inc is tactical espionage in a very pure and tense form. The storyline was peripheral to my experience, but here are the basics. Invisible Inc is a shadow organization put together to strike back at the mega corporations of near future Earth. With an advanced AI and skilled operatives, they’re the Robin Hoods of the future. That is, until their HQ is compromised. Now it’s a race against the clock to find out what’s going on, and get AI superprogram Incognita installed on a server before she goes dark forever (and the corporations win). Though the game takes a stab at larger and more disturbing themes at its conclusion, but these efforts missed the mark for me. There wasn’t enough story development along the way for me to care about the characters, and the ham-fisted cliff hanger ending left a bit of a sour taste. That’s not to say Invisible Inc PS4 is bad – no no no. This is a tense, engaging, and cerebral strategy experience that sets a new bar for the genre. Invisible Inc is brilliantly designed; a layered experience that challenges the player with both minutiae and meta elements. 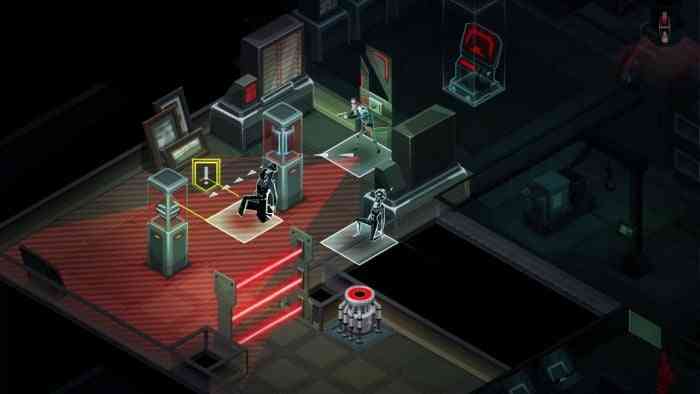 Like you’ll find in other strategy games, Invisible Inc PS4 demands you be, well, strategic. At the beginning of the game, you’re given 72 hours before the final mission begins. Each mission ‘costs’ a certain number of hours to complete, and may involve rescuing captured agents, stealing corporate cash for upgrades, or stealing upgrade technology for your agents to use. This means there’s a huge amount of flexibility in how you approach the task at hand. Do you focus on recruiting additional agents to the cause? Or focus on kitting out fewer agents with awesome gear? Invisible Inc does a fantastic job of making a broad variety of strategies viable, so long as you plan ahead a bit. This overarching flow of the game is omnipresent while playing; it’s the little voice in your head asking if you should really spend those credits or apply that augment. Individual missions are procedurally generated, so you’ll never run across the same facility layout twice. That makes the turn to turn actions you’ll take tremendously satisfying. The rush of not knowing what’s behind a door or where a target is quickens the pulse. You could choose to barge into a room unannounced and risk discovery, or you could play it safe, peeking through the door for an incomplete view of what lies ahead. Unlike most turn based strategy titles, staying unnoticed is of the highest priority. Getting seen by enemies stops you in your tracks, and you’re allowed only one square of movement or one action before the enemy reaction to spotting you occurs. That might be ducking behind cover, or it might be a fellow agent sneaking up behind the bad guy and taking him out. The choice is yours, and the game design accounts for all your options in supremely balanced fashion. Even waiting it out is a risky strategy, as new security systems come online as the turn count increases. Between that base level of agent control and the overarching game flow lays Incognita. Invisible Inc’s AI program is a powerful weapon that demands creativity and restraint. 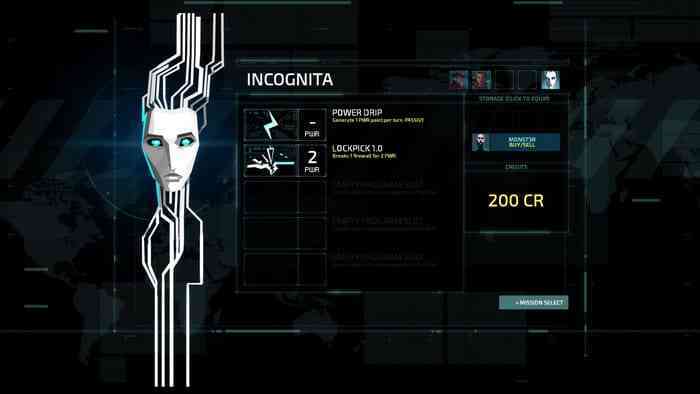 You’re given a certain amount of power (AP) for Incognita to use hacking safes, power generators, robots, and more. The variety of programs you can acquire for Incognita is impressive, each having distinct trade offs in terms of cost, effect, and cooldown. Later levels introduce Daemons: malicious programs that activate when you hack certain systems and negatively affect your team. These include reduced AP for several turns or new guards entering the facility, but might be necessary evils to complete the mission. The level of player agency on display in Invisible Inc is staggering – Klei has done a masterful job to cover all their bases tactically. 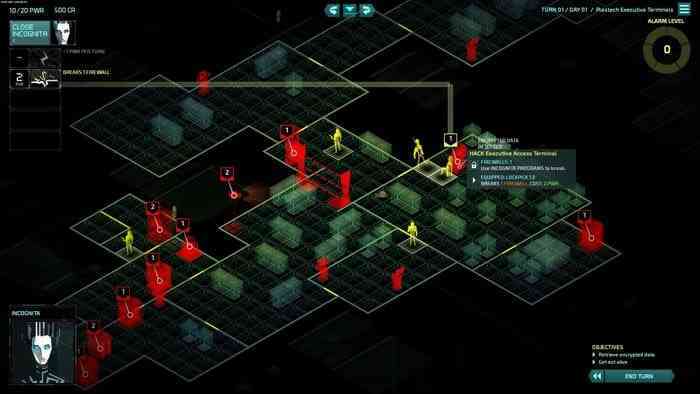 The most fun and tense moments in Invisible Inc PS4 happen when everything goes sideways. An agent has been spotted, another is unconscious, a robot guard that sees through cover is in the next room, and 3 new security cameras are online – can you guide the whole team to the exit? 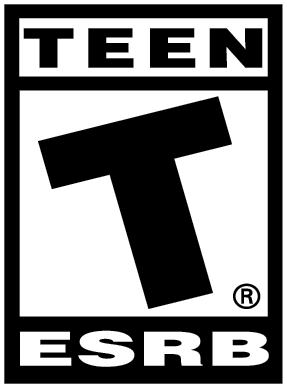 The game challenges the player to make life and death choices based on imperfect data, and react accordingly when things go wrong. It’s stimulating, gratifying, and addictive. Invisible Inc provides substantial challenge even on Beginner, but escalates rapidly into ‘brutally difficult’ on higher levels. Invisible Inc PS4 also looks phenomenal. Klei has always been known for stellar art design, but they’ve outdone themselves here. The film noire style characters gel perfectly with the cyber-aesthetic of the environments and UI bits, and it’s a real treat to stare at. Unfortunately, some of things that worked great on the PC haven’t transitioned well. The UI elements and text are way too small for the living room, and selecting commands is difficult without a mouse cursor – they could be highlighted more prominently. There are also some performance problems, though they are far from crippling. Things sometimes hitch up just before AI turns, occasionally to the level that I anticipated a hard crash of the game. That never happened though, so I can’t really complain. Invisible Inc PS4 is a mediocre adaptation of the original version, but that source material is of the highest possible quality. The layered strategic elements of Invisible Inc are second to none, while the roguelike elements provide literally limitless replayability. The story is peripheral and the UI isn’t living room optimized, but the gameplay is deep and diverse in a way few games can claim. Anyone who likes to use their noodle while they play would be remiss to pass up this fantastic title.